Bengaluru Football Club came together to celebrate another successful season, and to recognize and reward top performers at the club’s Annual Awards Night, held at the JW Marriott, in Bengaluru, on Thursday. Bengaluru Football Club came together to celebrate another successful season, and to recognize and reward top performers at the club’s Annual Awards Night, held at the JW Marriott, in Bengaluru, on Thursday. 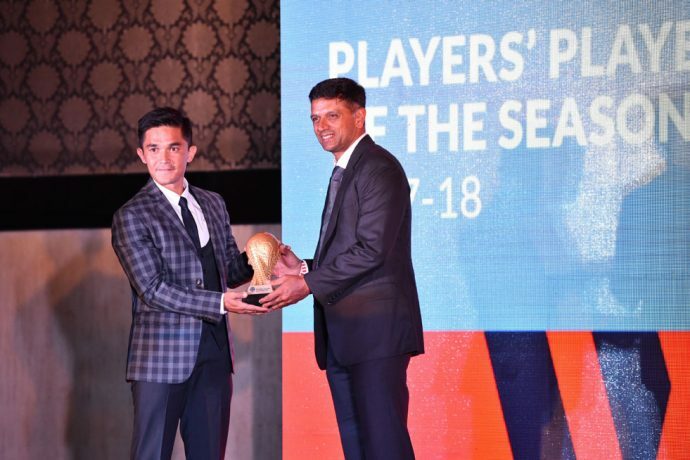 Skipper Sunil Chhetri was named top scorer for the fifth season in a row and also picked up the Players’ Player of The Year Award in a night that saw the Blues bid goodbye to coach Albert Roca, who announced his departure earlier in the day.